I had my first non-event specific workshop this past week. In conjunction with a great new pub in Battersea, the Candlemaker, I ran a small craft workshop to give people a taster of what paper cutting is like. It's safe to say I learned a few things for my next workshop, and I can't wait to do it again. Timing is key. It's hard to judge how long it will take to give a speech or communicate a new skill to a group of people. The 7 folks who joined me were keen and it was very easy to give them some new skills. 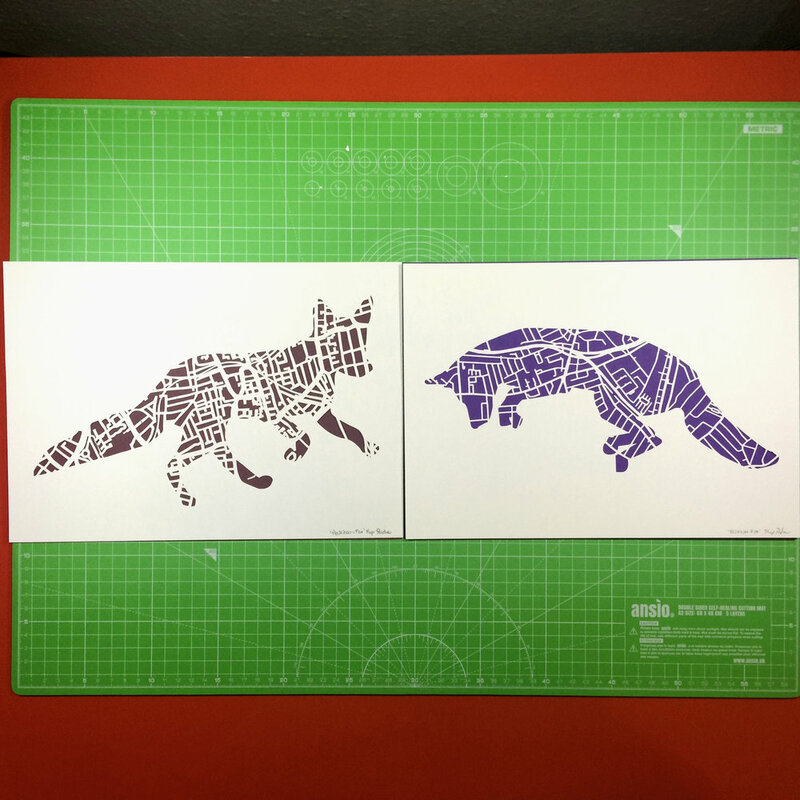 We spent about 30 minutes learning basic techniques, a tiny bit of papercutting history, and how to design a paper cut properly. Lighting, is also important. The pub is great and definitely the greatest place to learn something new like this. The atmosphere is relaxed and creative, but also warm and comfortable. It was a shockingly cold day after having had a weekend of early 20 degree weather, so a warm pub was just what was called for. Unfortunately as the night progressed we realized that the fantastic ambient light from the skylights faded, and I had chosen black paper with silver ink for the take home piece. It was reflective, but not exactly precise. At home I have two direct lamps above me when I work, and here we just propped up our phones directly on some overturned pint glasses to give us more light. Crafty we certainly were. I also think the thinner lined project I gave out, was technically easy within the skill set, but the bands between the animals were a bit too delicate for beginners. I'll try something different next time. Sign up with your email address to receive news and updates, particularly about workshops. We respect your privacy and this list is never shared.